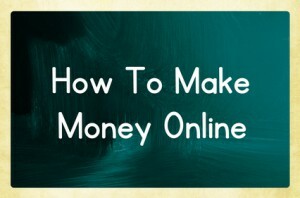 Can you really make money online? Yes, absolutely, millions do every day. In fact, once you see the full potential of the internet, it staggers the mind to think of the money that can be made blogging from home. Join our community of webmasters, marketers and bloggers-for FREE! There isn’t a push button way to make money online and there isn’t a get-rich-quick way to make money online either. Anyone who tells you different is trying to scam you. Don’t fall for it. Making money with a blog is like any other business. It takes time. People will give you their money when you give them something of value. That said, blogging is probably the simplest way to leverage the power of the internet to make a full-time income and more. In fact, many people have become wealthy through blogging. The secret to making money with a blog is that there are no secrets. There are no tricks or gimmicks. It’s all based on how helpful your blog’s content is to your visitor and if you visitor trusts you enough to buy from you. Creating a blog is super easy and can be done in minutes. I’ll show you how at the bottom of this article. However, writing the content for your blog will take some time, depending on your skill level and expertise. Also, promoting and monetizing your blog requires sustained effort, in other words…work. In this article, I begin with generalities where I discuss in broad terms how a blog makes money. Then, I’ll introduce you to three principles that will significantly increase your chances of blogging success. Finally, I include a form where you can quickly and easily build and host a blog for free. Plus, I’ll invite you to join a community of webmasters, marketers and bloggers who will teach you all you need to know to make a full-time income with your blog. What it Takes to Make Money with a Blog. A blog is just a website that has fresh content added to it on a regular basis. Blog is short for weblog. In the early days of the Internet, a weblog was like a journal that was updated several times a week. Before a blog can make money, it must first have visitors. Once there are visitors, also known as traffic, there are several ways to earn money through ads or product recommendations. Before you can make money with your blog, your blog must have traffic. You get traffic to your blog by writing articles about topics people are searching for online. Every article you post to your blog is like a beacon calling people to come visit. A keyword tool will help your discover what people are searching for so you can focus your article to their needs. If your blog is about a subject people are interested in, they will find it in their searches. If the posts, aka articles, you write for your blog are helpful to your visitor, they will stay and read your post. If your visitor gets to know you, like you and trust you, they will buy the products and services you recommend. And, as long as your visitors continue to trust you, they will continue to buy through your blog and you will continue to make money. With this in mind, you’ll need to build a blog around a subject that people are interested in. It helps if you are keenly interested in this subject too, because you will be writing about it a lot. If you have a passion for your subject and some experience in it, all the better. The subject of your blog is a niche. For example, your niche might be “organic gardening.” In this example, the general subject of your blog is “Organic Gardening.” When people visit your blog, they expect to read about specific topics related to organic gardening such as soil preparation, insect control, and growing various vegetables. In this example, you might write an article about “How to Grow Cherry Tomatoes.” In your article, you recommend a specific variety of cherry tomato and include a link where your visitor can purchase seeds. Because your visitors have come to know you, like you and trust you, many of them will purchase these seeds through your site and you’ll make money. You will have to write a lot of articles for your blog before you get traffic. This is the reality of blogging. The more articles you write for your blog, the more authority your blog will have with the search engines, and the more authority your blog has with the search engines, the more traffic the search engines will send to your blog. It takes time. Also, the more often you post an article to your blog, the faster the volume of traffic will grow. Expect to post articles to your blog for months before you begin to make money. Just keep writing and trust the process and you’ll do fine. It can get discouraging in the early months when you’re working hard to build your blog, but aren’t seeing any results. This is when the encouragement and support of an online community of bloggers can be essential to your success. Help people get what they want. Don’t focus on the money. Focus on helping people. The internet is growing bigger by the minute. Did you know that there are 3.5 billion searches on Google every single day? 3.5 BILLION times a day people search for something online. These are real people, just like you, with real problems, real fears, real pain and real desires. If you can offer these people information, products or services that solve their problem, ease their fear, minimize their pain or fulfill their desires, you can make money. The more people you help, the more money you will make. You only need a very small fraction of the 3.5 billion daily online searches to make a fortune. The potential is truly unlimited. There will be bumps, setbacks, confusion, frustrations, learning curves, detours, expenses, disappointments and interruptions on your journey to success. Don’t let any of that stop you. There will be people you love who will doubt you. Don’t let that stop you either. Like the gatekeepers in an adventure story, the doubters are there to test your resolve. Blogging is your ticket to personal independence and financial freedom. 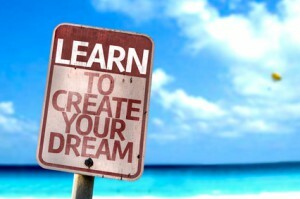 Imagine the day when you don’t have to leave home to make a full-time income. Too much is at stake here for you not to fully commit to your success. Even if it takes longer than you had hoped… Even if you get it all wrong at first and have to start over… We’re talking about being enough and having enough to live your dream life…It’s worth your full commitment. For years I struggled to make money online and got suckered into far too many “make-money-online” scams. It still hurts to think about it. It was only when I joined an online community of webmasters, marketers and bloggers that I began to truly understand how to make money online. When I joined, many people in the community stepped forward to help me succeed. They will do the same for you and many of them are very, very successful. Our community is called Wealthy Affiliate. The name fits. This article is just the beginning. If you really want to make a full-time income from home, join our community. It won’t cost you a dime to get started. You don’t even need a credit card. Use your free membership to make friends inside Wealthy Affiliate. Post a picture of yourself on your members profile and tell us a little about who you are. This lets us know you are a real person and not a robot. You’ll get a lot more help when we see that you are an actual human being. I’ll be in touch soon after you join and I’ll always be available to help you. Many of the members of Wealthy Affiliate have made absolute fortunes online and will help you do the same thing. Imagine having a millionaire just an email away who will help you make money from home. Once you’re inside Wealthy Affiliate, ask yourself if it feels right to you. Ask yourself if you’re ready to commit to making a full-time income online. If it feels right and you’re ready, step-up and become a paid member and make all the goodness of Wealthy Affiliate your own. Then, you’ll have everything you need to earn a full-time income. Below is a smart form you can use to build and host your blog for free. It’s also a portal to Wealthy Affiliate. So, fill out the name of your blog in the form below and click the “Build It Now” button. This will take you inside the Wealthy Affiliate Community where you can fill out your account info for a free account. You don’t need a credit card and no one will ask you for money. This will take you to the site builder form where you can add a name to your website, simply repeat the name of your blog. Then chose a “look” for your site. This is the design structure, or theme, for your website/blog. Choose a plain design with lots of white space. You can easily change it later. To get started, simple type the name of your blog in the form below and click “Build It Now.” You’re on your way! I think the biggest tip I can give is the fact if you are going to blog, you gotta do it often and you gotta do it well! I think that a perfect community of writers to get help from also is important, juts like you talk about. People dont really take into consideration of the long term goals here, but in order for the best outcome you kind of have to! Thanks for commenting. Yes, blogging is like any other business, it takes time and effort to build it. The amazing thing about blogging is it takes so little to get started. There is very little risk and the upside is unlimited. Just curious about the “how to get traffic to your blog.” Do you think other methods work like paying 5dollars for every 1k visitor? I know (and believe) that content is king. And I actually think that aside from content, you should have a brand as well (brand is queen – who runs the household), haha! Do you honestly believe that it is all about “contents” nowadays? I mean, look at the big websites. They are all over first pages just and most of them doesn’t even offer a very unique content. They are plastered with adsense on the sides and one page contains numerous affiliate links. How do we make sure our content will really bring us the traffic that big sites with mediocre contents are getting? Thanks for stopping by. You raise a good question. I really can’t speak to the issue of large websites with lots of advertising. This post is focused on beginner bloggers and for most people, their greatest source of traffic will be content. Buying traffic can be tricky and can get expensive fast, and bought traffic does not convert as well as organic traffic, that is the traffic that comes to your site looking for specific information. Hello Gary , how are you?..Great article and I want to underline your phrase that the secret .. as with every business .. is that there is no secret. Enough with those gurus that sell dreams and hopes.If you can work consistently then blogging can be profitable.Then you can scale up and by making connections and by promoting more and more products you can do something memorable. You explained everything a beginner could be looking.Additionally you provide step by step instructions and you emphasize that a blog needs quality and attractive content. Very good job.I will be back , keep rocking. Good to see you again. Thanks for stopping by. Yes, isn’t it interesting that the real opportunities are so simple? I got burnt more than once by the so-called gurus peddling glitter and false promises. Thank goodness I finally found what works. Great article Gary. I think most people don’t even realize that making money online can be done through a blogging. In fact, I didn’t know that. Later I was introduced to Wealthy Affiliate and learned that consistent blogging can a good source of income. Blogging is a very interesting occupation, but it takes a lot of efforts because you need to drive a massive traffic to your blog to make it profitable. I’m still struggling to get the amount of traffic I want. What do you find the most difficult about blogging? Thanks for stopping by. The good thing is that each blog post you write continues to drive traffic over time, so all your work is cumulative. Most of the first year of blogging is laying the foundation. My biggest struggle with blogging is my obsession with perfectionism. Loved your article. I am still in the beginner phase of blogging. I have only been at it for a little over a month now and right now I am struggling getting content built. I work a full time job and work on my website in the spare time. I haven’t been able to get nearly as many articles written as I would have hope by now. Any tips on how to get a good content creation schedule going? Thanks for stopping by. I’m pleased you found value in my article about blogging for beginners. Your question about getting a content creation schedule going is a good one. My approach to goal setting has changed as I’ve gotten older. Some people might encourage you to set an ambitious schedule of publishing a certain number of posts per week and forcing yourself you achieve that goal. In my experience, this is counter-productive. Like you mentioned, you have a full-time job. You probably have other demands on your time as well. Plus, there are probably people in your life who deserve your time, such as a wife or children. Take time to understand your priorities. Be honest with yourself. Make time for the people who are important to you. Give your job its due. Give yourself time too. You have to take care of yourself. 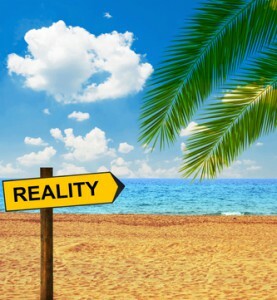 Somewhere among your priorities is your blog, but it is probably not your highest priority. When you see where your blog fits among your priorities, you will have an idea of how much time you can give it each week without short changing the other priorities in your life. Let’s say, you can honestly devote 10 hours a week to your blog. Then schedule that time each week and each day and use that time to get what you can done. It might be a post. It might be two. It might just be the next lesson in Wealthy Affiliate and some research for your next post. You get the idea. If you want to really work hard at it for a while, that’s great, but don’t burn out and don’t neglect other priorities unless you’ve made a conscious decision to let them slide for awhile. In relationships with adults they might agree to see less of you while you pursue your blogging goal, particularly if they will benefit when it’s profitable. My online business is important to me. I also have writing I must do for clients. Plus, I usually have a novel in the works. However, I always make time for my grandchildren and the woman I love. Life is indeed short. Wealthy Affiliate sounds like the perfect online business platform I have been searching for, and I Thank You for helping me to start up my own blog using SiteRubix too. Thanks for stopping by. I’m so glad you found value in my article and look forward to your success. I’m here to help if you ever need it. I’ve started considering a beer related website mainly so I can use it to increase my authority amongst breweries who may yet hire me, and this is really good advice. Unfortunately I need to pay for everything, so I am looking for ways to monetize my beer site. Does the program you are suggesting offer good value returns for the cost of running and hosting a website – plus the time I put into it? Thanks for stopping by. Your idea for creating a beer blog to improve your job prospects is brilliant. Yes, the program I recommend, Wealthy Affiliate, has the most secure website platform available and training second to none. I highly recommend it. You’ll do well with it. You said “your blogging success begins in your mind” and that (in my very humble opinion!) is the secret many fail to understand; your beliefs will ultimately cause you to either succeed or fail. “I can’t do it” never led anyone to accomplish much; “I will try” has had much more positive results. Thanks for stopping by. You are so right about how success begins in the mind. I wish I had learned that secret earlier. Many of us are conditioned for failure and it’s difficult to turn our thinking around, but bit by bit, one small change after another and we can accomplish amazing things with our life. Honestly I really enjoyed this I am new to blogging and learning how to become the best at it with what I have to offer! I loved this and it was great to see the way in which your site and you worked to take it step by step to get the reader involved intently! Nicely done! Thanks for stopping by and taking a moment to comment. I appreciate your compliment too. This is a very powerful and amazing post! It’s very informative when it comes to making money in blogging. Yeah, you’re right, we need to persevere and be patient when it comes to blogging and making money online. It really takes time. Also, Wealthy Affiliate, is really a great site that anyone can go into – the community is very helpful, the training are very easy to follow, the classrooms are great, the website builders are really awesome..
And I look forward to read some of your posts. You are so right. Creating any kind of business takes time. Building an online business through a blog is fast compared to building an offline business, but it still takes time. When I created my blog WritingisaSuperpower.com, using the training from Wealthy Affiliate, I did not see results for the first two months and got discouraged and stopped working on my site. Silly me. Looking back, I realize now how impatient I had been. After four months, my blog started making money, although I had neglected it for a couple of months. That made a believer out of me. Since then, I’ve worked at my blog consistently and the revenue has increased each month. Now that I’ve been at this a while, I’m convinced that the income potential of a blog is so great that it’s worth any amount of time it takes to learn how to do it. After-all, millions of people spend four years of their life or more in college, and go deep into debt, in hopes of getting a job that pays just enough to live on… if they’re lucky. And that job can be taken from them at any moment! It won’t take four years to build a successful blog, but if it did, it would still be worth it. Glad to see a fellow Wealthy Affiliate Member hlping out here. We both know that WA offers so much more than just training & tools. The community is awesome& that is something you cannot get anywhere else. Not to mention that there’s live Q&A sessions & awesome tips by veteran users! Thanks for the stopping by. You are so right about Wealthy Affiliate. The community has changed my life. After years of struggle, it was the training and the good people in the Wealthy Affiliate community that taught me how to truly blog as a business. I am getting better and better at understanding blogging and how to make a great website! This page was great in that it helped me see another version of how someone was able to capture the reader with its setup. Your content kept me engaged and that I know is a huge part of any blog! Great job! Thanks for stopping by and taking a moment to comment. I’m pleased my post help you see another version of how to capture a reader with your blog. I have been a member of WA for almost 2 months and this is the most influential article I have read. It truly does take time to make money but if you are writing about a passion it can make it a lot easier.Staying committed towards writing content and always trying to improve your site are huge for future success. This was a very useful and knowledgeable article. Best of luck with everything. Thanks for stopping by. I’m pleased you found my article helpful. The internet has really given us a tremendous opportunity to create the life we dream of. This is a great post. As a blogger myself, I definitely agreed every single word you wrote there. It is very accurate and straight to the point. I highly suggest other bloggers or those who want to open their own website to check on Wealthy Affiliate, as it provides all important steps and information we need to set up our own website. Thanks for stopping by. I appreciate your approval. Like you, I’m a big fan of Wealthy Affiliate. Thanks for stopping by. You brought up some good points. Keywords are critical, but don’t over do it. I write an article first for the human reader, so they have a pleasant and rewarding reading experience. With reader experience in mind, I use my targeted keyword in the title of the article, somewhere early in the post and near the bottom. I’ll also sprinkle a few related keywords throughout the article. A good keyword tool will make all the difference on how easy it is to find keywords you can rank for and the quality of those keywords. My favorite keyword tool is Jaxxy. It’s fast. It’s easy. And it’s fun. You can learn about Jaxxy here. Lovely simple article here and spot on. There is no secret here, it is quite simple really like you say. It is amazing how many people believe that there must be a get rich quick option for working online, a fully automated cash machine… this just doesn’t exist. Those are the people that keep falling for scams. Thanks for sharing how to get started and of course your tips and pointers on how to make money blogging. Yes, there really is not magic bullet for making money online, but using proven principles, it’s a lot easier and affordable than starting a brick and mortar offline business. Hello Gary! I am new to affiliate marketing and for me, learning is fun. You were right having a great community online that helping and share learning experiences with one another. The biggest motivation for me is I have to learn new things every day and share that learning and that’s what I hold unto. Thanks for stopping by. Yes, being part of a supportive community makes all the difference. A great blog. 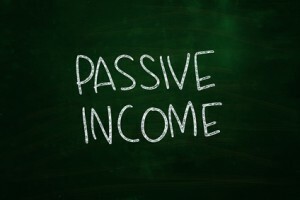 It really is possible to earn an income from blogging whether it is s review of a product or promoting something if your affiliate link gets hits you can make good money. I’ve been a member of wealthy affiliate for 6 months now and I’ve learnt so much and so can you. Very Nice! I always love coming across these types of posts and articles. It encourages me to keep going and proves the possibilities of making money while working online. I greatly appreciate you taking the time to write up the post, as learning more ways to earn money from your blog is ALWAYs important. Thank you for this, like really, I appreciate it. Thanks for stopping by. I’m pleased you enjoyed my post. Yes, the earning potential is really staggering, but it doesn’t happen over night. But consistent effort does pay off. The content on your page is really informative for anyone (like myself!) new to blogging – it therefore definitely meets the audience’s requirements. The presentation is good and you’ve selected good images that catch the eye. Perhaps enlarging these might be a good idea. I like the way you’ve set your paragraphs…which makes the content easier to scroll and read. The only other suggestion I might make is if you use the block quote tool on the visual editor to enhance your quote in the beginning? Perhaps removing the text box and using the quote might look better? However, as I’ve discovered myself, sometimes the theme doesn’t support or enhance the block quote function…in that case perhaps try and enlarge it into a header size 1 or 2? Hope that helps….congratulations on a wonderful page! Thanks for stopping by and thanks so much for your suggestions. They are much appreciated. Hello Gary Great article and it was a pleasure to read and it flowed from one good point to the next. Yep.. there are no secrets and it takes time just like any other business expect of course that it’s better because everything you do builds upon the next, like a little drop of water into an empty bucket. It starts with what looks like nothing and then before long you realise you have some water in the bucket and some time later you need a bigger bucket as it’s beginning to overflow ha ha. It all adds up. Good to see you here. Thanks for stopping by. Yes, it does add up like drops of water. Thanks for the great analogy. When I think about all the work I did for others that they are still profiting from I want to weep, but now, thanks to my own blog, every effort I make builds value for me. It’s an amazing way to earn a living. Hello Gary, you have here a perfect article, which introduces ups and downs of blogging. Sometimes people think that they will write few articles and visitors will flood their websites. Competition is here, in this virtual world. I think that people who are persistent and patient, who are willing to take time and do not give up after few failures, are winners. The blogging is great thing if we offer help and show ways to our visitors how to solve problems. There are so many niches, which are undiscovered and have their customers. Google helps to find answers thanks to people who run websites. If content is interesting and has solutions and answers, customers will show up, sooner or later. After reading your article, I want to write again because there so many ideas and options how to serve visitors. You mentioned Wealthy Affiliate. It is a great company, which offers excellent training and support. Besides it, Wealthy Affiliate is transparent and legit. Thanks for stopping by and taking a moment to comment. I really appreciate your kind words and insight into blogging. The opportunity is there, as you say, but it does take time and effort. I’m pleased my article gave you ideas and inspiration to write. Very informative and helpful. Wealthy Affiliate has made such a huge difference to my life. I have much more confidence in myself and my ability to succeed now! I am still amazed at how quickly I built my website and started getting traffic! The numbers are increasing every week, which is awesome! I would highly recommend WA to everyone! Yes, Wealthy Affiliate has made a world of difference in my life too. After too many years of struggling and losing money, Wealthy Affiliate put me on the right track. I’ve been a member for a little over a year. It took four months of work before I made money, but since then, the income has increased steadily. Great article! I definitely agree with you that you shouldn’t focus on the money solely, but that you should see how you can help the reader. It will lead to the success you are trying to achieve. I like the statement on using the community and resources that you have. Wealthy Affiliate definitely has the best community and training that I’ve ever seen. Nice job! It took me a long time to learned not to focus on the money, but since I changed my perspective my work has become far more enjoyable and profitable too. Most people perceive value as what’s in it for them and will only do business with people they trust. So why not give them something of value and demonstrate that you are trustworthy. Making money is so much easier when you do. I really like your In-depth Article! You are so right in that making money blogging is not a get rich scheme. how long have you been a member of wealthy affiliate? I have always struggled in writing do you have any suggestions? What is your best Tip for a Beginner blogger? I’ve been with Wealthy Affiliate for 13 months. The first four months were a struggle, and I almost lost hope, but then I made a sale and soon after another. Since then, the income has increased steadily. Honestly, Wealthy Affiliate is one of the best things that have happened to me. I have two college degrees, a BA and a Masters, both from a highly reputable university. However, the skills I’ve learned in the past year as a member of Wealthy Affiliate are far more valuable than my two college degrees combined. My degrees made me dependent on a job where someone else determined how much I made and how I spent my time. The skills I’ve learned at Wealthy Affiliate has made me independent of a job, plus my income is unlimited, and I get to spend my time the way I like. If I could give a beginner blogger one word of advice, I’d encourage her to blog about some she has a strong interest in. She will be writing a lot about it, and if it interests her, she will enjoy the process more. She doesn’t have to be an expert, or even know anything about it, she just needs to have a keen interest in it and want to learn more. Thanks again for stopping by. I appreciate your comment. Great post. I wish I had seen something like this when I started to blog years back and could not understand why I was not getting any traffic! I have learned so much from Wealthy Affiliate and having a community of folks doing something similar has been extremely helpful. Any question you have gets answered! Any business will only thrive when it creates value. I’m appalled at many of the copywriting courses I stumble across that teach manipulation and con games. Those might work short term, but they destroy one’s reputation. The internet has made it possible for anyone to check on anything at any time. Reputation is now everything! It’s as is we are all living in a small town and know, or can easily learn anyone’s reputation. When you have a reputation for helping others and creating value the internet works for you and brings you good things. That’s the way to build an online business. Informative stuff with your article here. I noticed we can start earning money when the money is not our only focus. I mean you’ll certainly make money if you concentrate on providing value and helping people out. Cultivating trust and entertaining your readers should be your top priorities. Money will always be a by-product of how well we do things and how we perceive others people and the business we’re getting into. I appreciate your comment. When starting out many moons ago, I had to learn the hard way not to make money the focus of my efforts. Once I made the switch to helping others, it all became so much easier and less stressful. I loved reading this article. Fab refresher for me as I am starting a new blog. You a right on the nail when you say that you can make money from anything via the blogging- affiliate marketing combination and hard work. That, hardwork, is the special sauce, or secret sauce to having a successful blog. There is no substitute for it. You just gotta get up, get going and grind away, even when in the beginning you are not making any money. Just grind, grind and more grind! Thanks for visiting. I’m pleased you like the article. Yes, hard work is the secret sauce. And it does take time. Like you mention, you just have to trust the process and keep posting to your blog. As with anything, some days are better than others. Hi, Gary. Thanks for explaining so clearly how to make money blogging. You make it sound simple. Thanks too for suggesting Wealthy Affiliate. I can’t believe they offer a free membership. I’m impressed and will sign up. If I do what Wealthy Affiliate teaches, how fast will I make money? There are several ways to make money online and you’ll learn the most reliable ways with Wealthy Affiliate.. If you are serious about building a profitable online business, the free starter membership with Wealthy Affiliate is, by far, the best way to begin. You asked about how fast you could earn money with Wealthy Affiliate methods. Some people earn money within a month, but that is rare. The average is about 3 to 4 months, but it depends on many different variables. In my experience, making money online takes longer than most people expect and they get discouraged and quit. That is the worst thing you can do. When you sign up for your free starter membership, focus on learning the skills and understanding the logic behind the search engines. Plus, think about how you can help people solve their problems as they relate to your niche, because that is where the money is. If you will learn the skills and focus on solving people’s problems, and put in the time, you can earn as much as you want. Thank you for he wonderful information, as online business becomes more popular now, and its the way of making money while at home either through wealthy affiliate, i suggested that through this money blogging it also profitable even though i didn’t use it.I hope i will join this money blogging. The internet is the greatest opportunity of our time. Anyone who can operate a personal computer can earn a darn good living online. Blogging is a great place to start, but the skill you will learn along the way will have many applications for earning income. I don’t know why more people don’t blog.